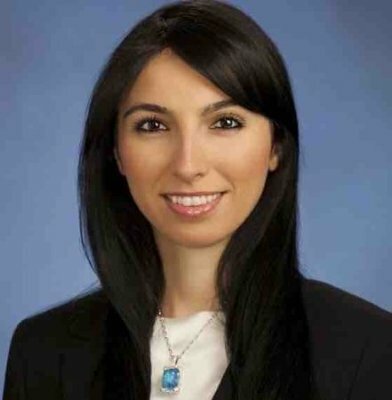 Hafize Gaye Erkan gained admission to Boğaziçi University Department of Industrial Engineering with a ranking of 26th in the University Entrance Examination; she graduated in 2001 with a record breaking score; she was the first student in the history of Princeton University to finish the PhD program in one year. Gaye Erkan is now the President of the First Republic Bank, one of the leading banks in the US. Hafize Gaye Erkan’s professional achievements can serve as a model particularly for those who aim a career in the world of finance. Erkan’s successful career was rewarded by her appointment as President of First Republic Bank at the age of 36. One of the most important turning points in her life came before she started her doctoral studies. Erkan received PhD scholarship offers from nine top universities including Stanford, Princeton, Boston, and Cornell. She decided on Princeton, where she was awarded an Honorary Doctorate Scholarship, an award given to only two people per year, which provided her with a house, a monthly allowance of $3,200, and an unlimited budget from US National Science Foundation for her research. Her PhD is in Operations Research and Financial Engineering. Erkan completed in one year the PhD program that takes 2 years, comprising 12 courses. She was the first student to finish the program in one year in the 246-year history of Princeton, a university whose alumni include influential world leaders and personalities who have shaped the world. She also earned the title of “the youngest finance professor” in the United States. Princeton University subsequently changed minimum required period of study for a PhD degree to one year. Before joining the First Republic Bank in 2014, Erkan worked for many financial institutions, including Goldman Sachs for nine years. Following the mortgage crisis in the United States, FDIC, the US equivalent of Turkey’s TMSF (Savings Deposit Insurance Fund), intervened in the financial control of First Republic Bank in 2009. Prior to her appointment as President, Gaye Erkan served as Senior Vice President, Chief Investment Officer and Co-Chief Risk Officer, and Chief Deposit Officer at First Republic Bank. “Gaye is an exceptional financial services executive who has already made a significant impact on First Republic,” said Chairman and CEO of First Republic Bank upon her appointment as President of the bank in May of this year.